The miners had to eat and there were those who would rather make their money feeding them. Ranchers would bring in beef and grow vegetables for the boom towns and mines. Beef was also necessary for the military. Cattle ranchers in other areas probably heard rumors of fine pastures in the high desert from miners traveling through. The high desert then had adequate rainfall to provide good browse in the winter and fall. The first attempts at cattle raising took place in the early 1860s — stockmen grazed cattle in the high desert in the winter and along the river or wash bottoms in the summer. These ranches provided cattle, hay, and food for local miners. 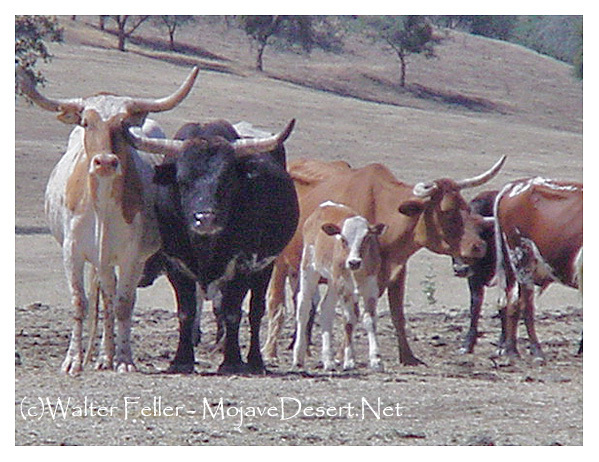 A decrease in rainfall, scarcer vegetation, and restrictions brought the cattle industry to an end in many areas of the Mojave Desert.